Ha ha! 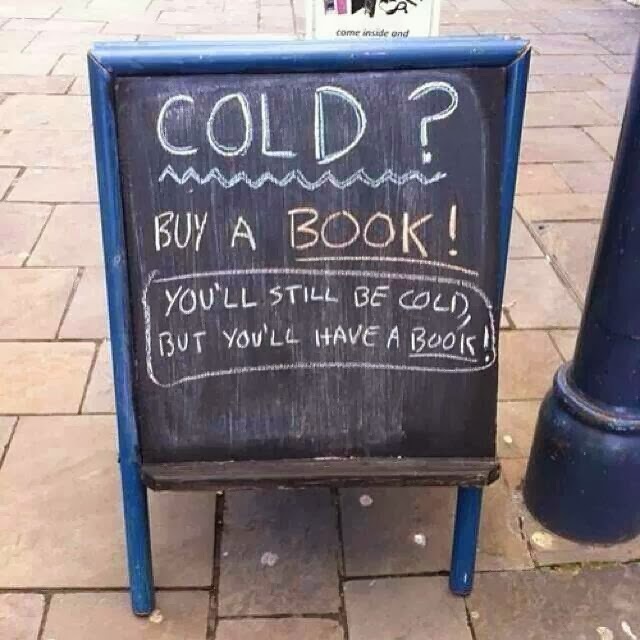 And having a book makes everything better (and warmer)! So true! Sick with a bad cold this week and a good book has been keeping me happy! I'm with you guys. Have a great weekend and I hope you feel better soon. Thanks, Sherry. Feeling worse today, but hopefully I'll be on the mend in a couple of days. In the meantime, I'm cuddling up with a book and a heated blanket! Exactly what I need right now! Perfect time of year for doing just that! Thanks, Laura!